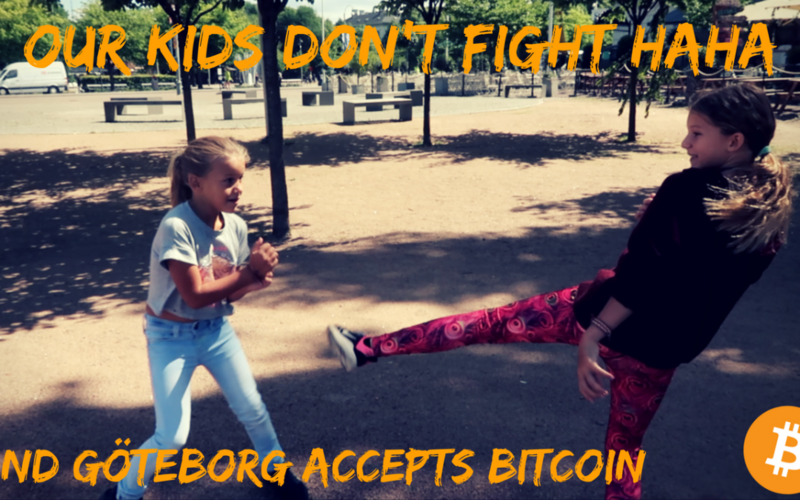 We visited Sweden and Bitcoin acceptance is at an average rate. In the big cities, you can find some places that accept Bitcoin or other currency. We still had some Bitcoin Cash left so we went to a bar that accepted Bitcoin Cash. We wanted to know why they didn’t accept Bitcoin so we asked. In the opinion of one of the employees, people are not spending their Bitcoin because they expect is to increase in value and because of the transaction speed and fees. Will in the feature Bitcoin become a store of value and will we use Bitcoin Cash for our daily Payments? I don’t know but we will probably know real soon. Maybe the Bitcoin Cash fork wasn’t because of a disagreement and maybe all the forks are well planned. Then Bitcoin will be the store of value, Bitcoin Cash will be used for daily payments and Bitcoin private will be used for the private transactions. I hope it was all planned and if not in the future BTC, BCC and BTCP will understand that if they work together in the future and accept each other’s qualities and role in the new monetary system they will be the strongest. Let me know your thoughts! During our visit to Sweden, we went to the BarFoxx to have a coffee and some drinks and we paid with crypto. BarFoxx is a very Nice bar with amazing drinks and food. It’s am amazing vide so if you are in Goteborg visit them. 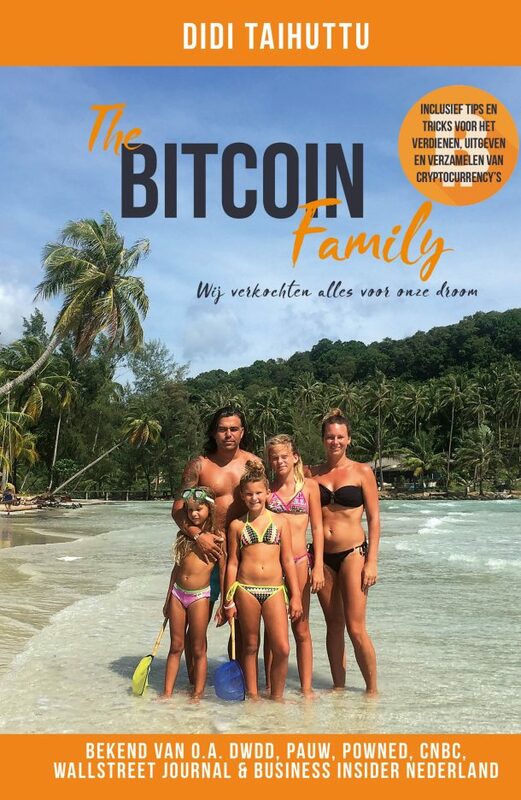 We will keep doing this in every country to show you that crypto is more and more accepted in offline places as well. I wish we had more time so we could visit all places but we will just choose the places we encounter during the travels. Check our video on it as well. This is a list of Swedish sites, stores, etc. We know where you can pay with bitcoins. 3D Center offers a wide range of 3D printers with different technologies and materials for professional use and production. Stockholm’s largest floating center and Sweden’s second largest, with three floating rooms ..
With Anonine VPN, you can quickly and easily anonymize and secure your internet connection through our encrypted VPN tunnel that can be used on anything from both your mobile and computer as well as tablet. Askari is a webshop selling martial arts clothes and equipment. At this café at Vasagatan 32 in Gothenburg you can now buy coffee and other good for bitcoin. Bokbörsen is a Swedish marketplace for used books, series, discs, movies and games. Christers Hårvård is a hairdresser located in Kompassen in central Gothenburg. Djenee is your digital concierge service. Send a request for anything, anytime. You will receive an answer within 5 minutes. Djur.nu is a community of animal loving youngsters where you can buy and care for virtual animals. In order to access additional features, so-called Gold coins are bought and this is done with bitcoins. DWH.se sells and markets the hottest and latest trends. Here you will find computer accessories, headphones, mobile phones and much more. Get help with digital marketing, SEO, etc. Personal Trainer Online, offers diet and training plans as well as online coaching. At Gide Get in Trehörningsjö you can buy goat for bitcoins when you visit their iron side. On https.se you can purchase SSL certificates from a variety of publishers. If adventure or relaxation attracts, it is Hemavan & Tärnaby you will visit. With our cabin between Hemavan & Tärnaby as a starting point, it is not far to Sweden’s best ski slopes and snowmobile trails. IPredator offers VPN as well as various other related services. Japanese experts are a tour operator who arranges trips in small groups throughout Japan. Data Engineer Jonas Renliden offers world-wide IT support, web design, application development, etc. for private individuals and entrepreneurs via remote logging, phone, email and home search. Rental of kayaks, outdoor equipment, avalanche equipment, etc. Architectural services for bitcoin. Building permits, sketches and more. NeoNex offers web hosting, server services and domain registrations. OVPN.com is a Swedish VPN service. Avoid hackers and authorities who intercept your internet traffic. Surf anonymously, secure and fast with OVPN. Order pizza online. Get it home-run. Pay with bitcoin. NOTE! Many have warned that Pizza24 has a poor exchange rate and therefore, paying much more if using Bitcoin. Primaleva in Gothenburg offers prevention and rehabilitation massage, with connective tissue, pressure and healing. Saturno AB sells search engine optimization services. Segeltorps Golvservice specializes in wood floors and offers grinding, varnishing, oiling, sowing, etc. Rent nice holiday homes in Ban Huay Yang and Hua Hin in Thailand, Banyuls sur Mer on the French Mediterranean coast and on Oknö in Småland. Buy airline tickets for bitcoin! Beauty salon in Gothenburg. Hanna is a certified nail therapist, certified French stylist and French stylist teacher. All treatments can be paid in bitcoin. E-commerce site that offers everything that has to do with drones to do. At Tekungen there are tea of all kinds and flavors you can imagine. At Vetgirig you can learn new things in a playful way. Quizzes, competitions, etc. It is now possible to buy their Premium service with bitcoins. Webbdo is a web agency that includes offers web hosting from $ 9 a month, search engine optimization and stylish mobile home pages. The list will probably be growing every day but as you can see Bitcoin is being adopted more and more. If your store is not on it let us know so we can add it and if you store shouldn’t be listed please let us know as well and we will delet is from the list. What do you think this will do with the prices?